Eric Greene, who started An Eye at a Time, and a 75-year-old goat herder getting his first pair of glasses. The son of a Watertown optometrist has set up a charity to bring eye care and eyeglasses to areas of the world where they lack such care. Eric Greene founded An Eye at a Time to bring free eye care clinics and brings in volunteer eye care professionals, examination equipment, and glasses to people around the world. He started it when he was an optometric assistant at his father’s (Martin Greene) office, Greene and Greene Optometry in Watertown. 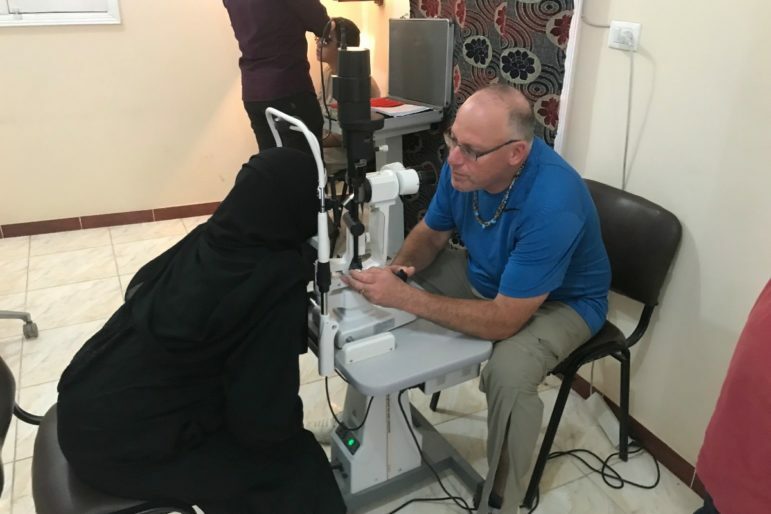 An Eye at a Time sets up free eye care clinics and brings in volunteer eye care professionals, examination equipment, and glasses to provide eye care for the many people without access to this basic healthcare service. Two and a half billion people in the world today need, but lack, access to a pair of glasses and 80% of this group live in just 20 developing countries, according to research by the Overseas Development Institute. Dr. Martin Greene giving an eye exam, one of hundreds on a mission to bring eye care to people in Africa. Our mission at An Eye at a Time is to improve impoverished communities by helping children and adults succeed in school, work, and daily activities by addressing thisfundamental need for clear vision. People like the 15-year-old boy from a rural village who had gone his entire life struggling to differentiate letters in his books but had found a way to succeed in school unlike many other kids his age. His determination to remain a student trumped all odds. Or, the 75-year-old goat herder whose eyesight was so poor it would be like viewing the world through a steamed up window. Yet he never complained even once. He radiated happiness and was proud of his work that supported his family. Will you join me in making a difference? All funds raised go directly to An Eye at a Time and its eye care missions. 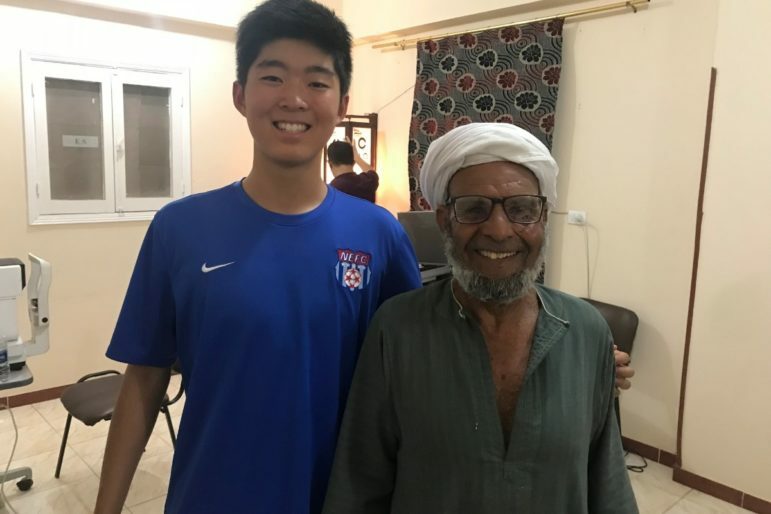 We are planning our next mission to a village outside of Luxor, Egypt in July, 2019. We appreciate any donations, large or small, to thisimportant cause that means so muchto me and the many people without access to basic eye care. Do you also accept used eye glasses? Yes we can use you gently worn eyeglasses! Please drop them off at Our 31 Spring st office. Congratulations to Eric on this worthy humanitarian effort. Certainly a worthy cause to support.